Jamberro Action Park’s latest attraction, the Perfect Storm, is ready for thrill seekers this summer, with its simulation of three tornadoes violently twisting and rotating around each other. This results in moments of zero gravity, while in complete darkness, you twist up and down, and rotate back and forth inside the monster vortex. Given our Editor’s preference for keeping her feet on the ground, we want one of our readers to report on it for us. The Park has given us four tickets, worth over $200, so a local family or group of friends can go and check it out. Spend the day at Jamberoo Action Park before the end of the first week of January, so we can include your impressions and pictures in our first edition of 2017. 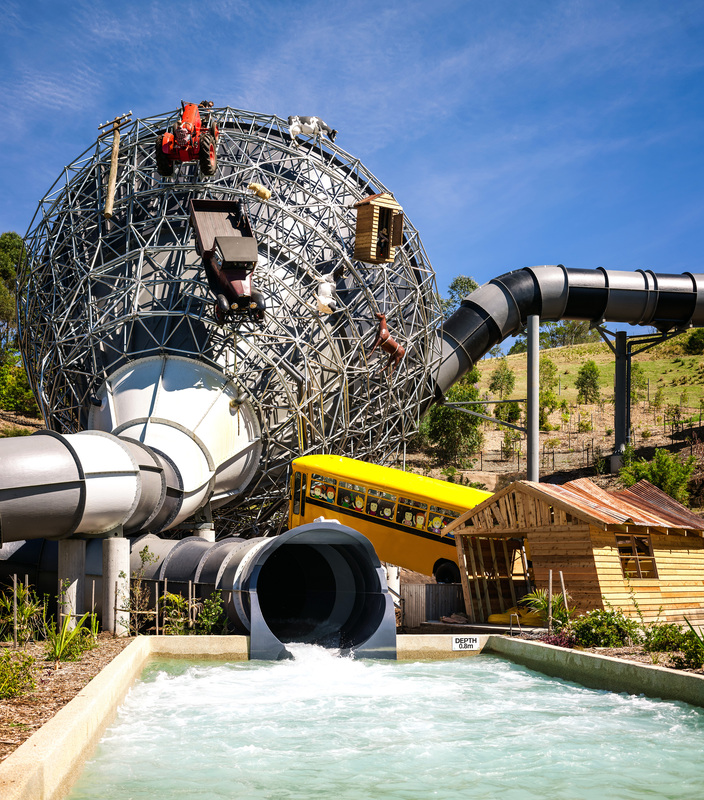 Apart from the Perfect Storm, you can check out the Funnel Web ride, enjoy the Taipan’s rapids, leap off The Rock or relax at Billabong Beach. If you go on a Saturday from New Year’s Eve through January, you could enjoy a Dive-In movie from 6pm. As the saying goes, you’ll control the action… Then share your impressions of the day with us.